On the 9th March project participants met for an important stage in PowderReg’s life: the “Comité d’accompagnement | Projektbegleitungsauschuss”. 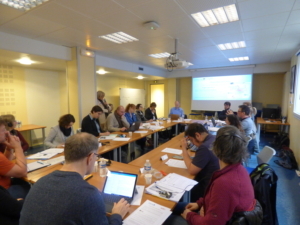 During this meeting, they gathered with Interreg and regional authorities, and some first level controllers to discuss about the first year of activity, the annual report and the budget changes foreseen for incoming years. This was a fruitful occasion to exchange on project achievements and to collect some interesting suggestions for the future of the project.